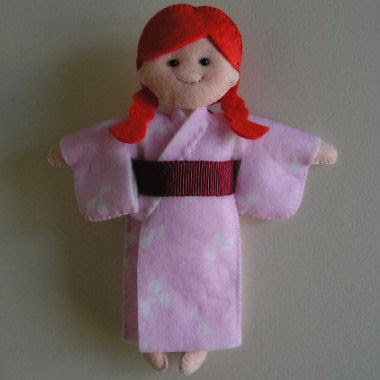 I received questions about kimono for small felt doll. So I show how to make. 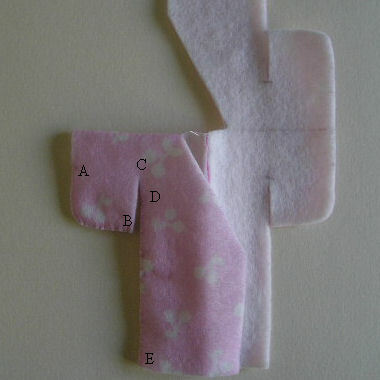 Pattern is on this page (I improved it a little). Sew up the middle of the back from inside. 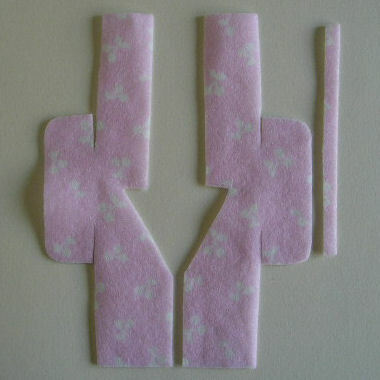 Sew sleeve (A to B) from outside. I used blanket stitch. Sew the side (D to E). 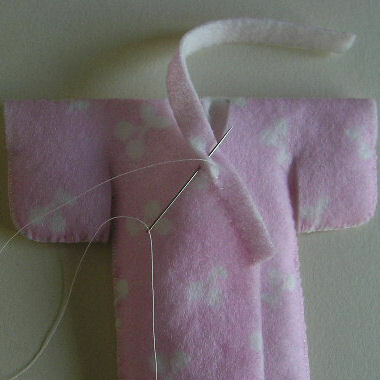 Unsew B to C to D.
If you make boy's kimono, sew B to C and C to D. It is a rule. You may ignore. Sew the collar to the bodice. Overlap 1 or 2 millimetres. Obi is 1.5 × 32 centimetres. 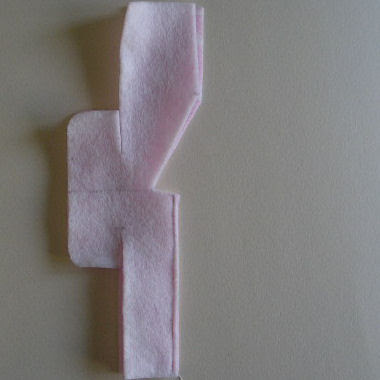 You may use a ribbon. 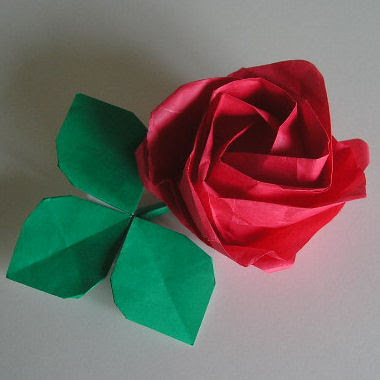 This is famous Kawasaki Rose designed by Dr. Toshikazu Kawasaki. 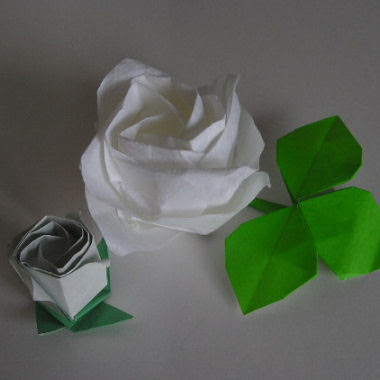 A flower is made with a square sheet of paper without cutting. The process is too complicated to explain. 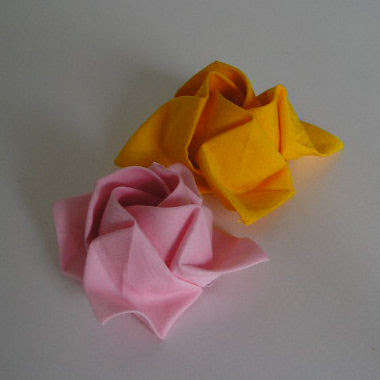 It is easier than Kawasaki Rose but still difficult. Fukuyama rose folded with cloth. 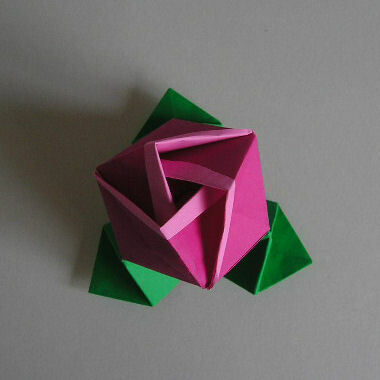 This is a Rosebud Cube designed by Mr. Kunihiko Kasahara. 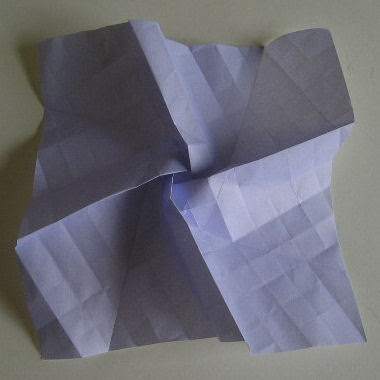 It's only a cube but difficult. 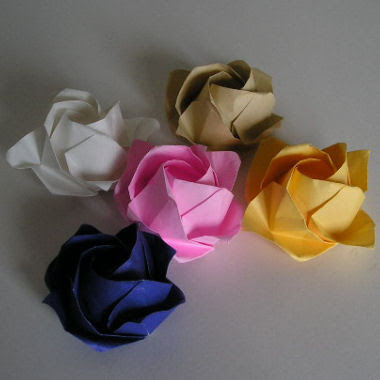 Origami is easy and abstruse paper craft. 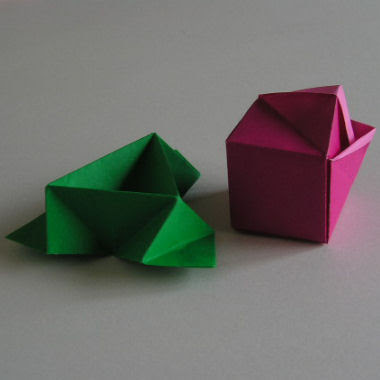 If you have interest, you may find how to make by search.